"Zac recently performed at my work Christmas party. We had about 240 employees/spouses in attendance. The crowd absolutely loved him and enjoyed every minute of it. The act was fun, hilarious and worth every penny we spent. He comes highly recommended!" The z*stonish Comedy Hypnosis Show is highly interactive and gut-busting funny. It's guaranteed to be the highlight of your event. Your holiday party is approaching, a sales meeting, or perhaps some other type of corporate event is coming up – and you want to make it memorable and everlasting. That’s where z*stonish comes in. He works directly with you to not only make you the hero of the event, but to also make the event one that will be talked about for years to come. By customizing his entertainment expertise it will create a unique performance specifically for your event entertainment needs. 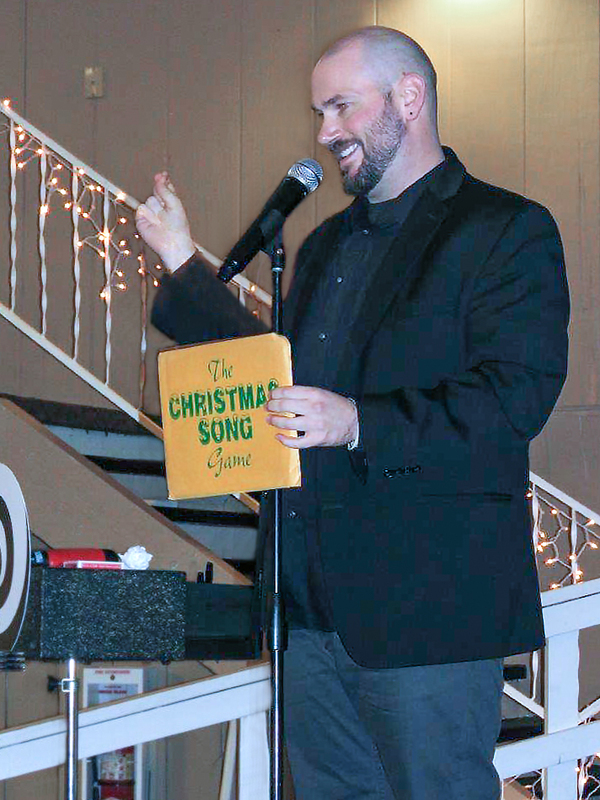 "Zac was absolutely fantastic at our company Christmas party. It has been several weeks and we are still talking about the show and laughing. He is a great entertainer and has gone down as the best entertainment we have had to date." Zac brings a unique flare of excitement to his performance that promises to leave you in awe and on the edge of reality! With an atmosphere full of amazement and laughter your guests will have an awesome time. The show is professionally and tastefully done. It’s clean and appropriate while still completely hilarious! Whether it’s magic, hypnosis, or both - you can rest assured that the entertainment will be of a high caliber and unforgettable. Take the worry out of planning your event. Zac is easy to work with and hassle free! Event planners agree – You will ask yourself why you never booked z*stonish sooner! The show is a surefire hit! Companies love the show so much that they often book year after year. That’s why Zac’s schedule fills up quickly, so don’t hesitate to secure your date today!